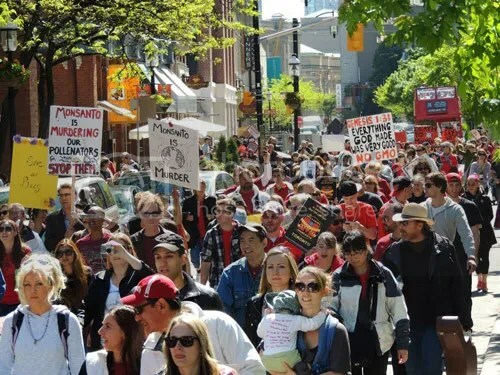 Toronto March on Monsanto Saturday May 25. Local citizens march in solidarity with others around the world. Photographer Robert Bright wondered where the media were. Is this not news?